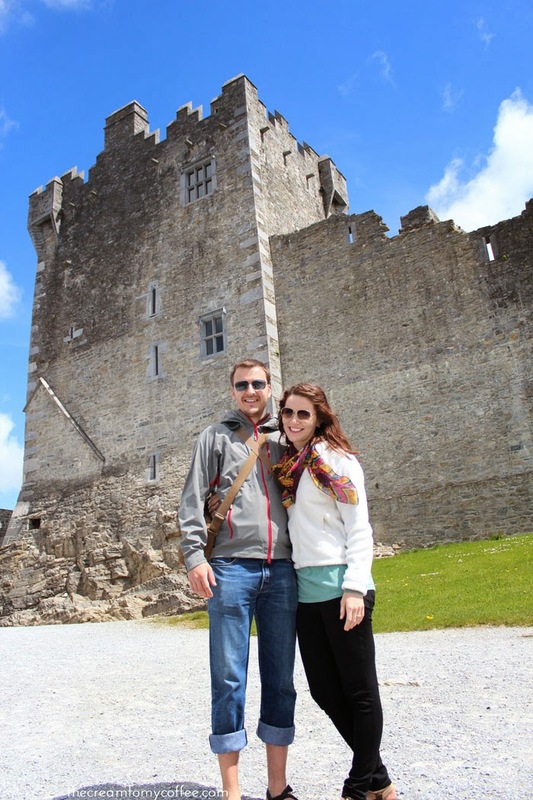 Ireland was the last leg of our trip (after Paris and London) and one of the places we were most excited to see. 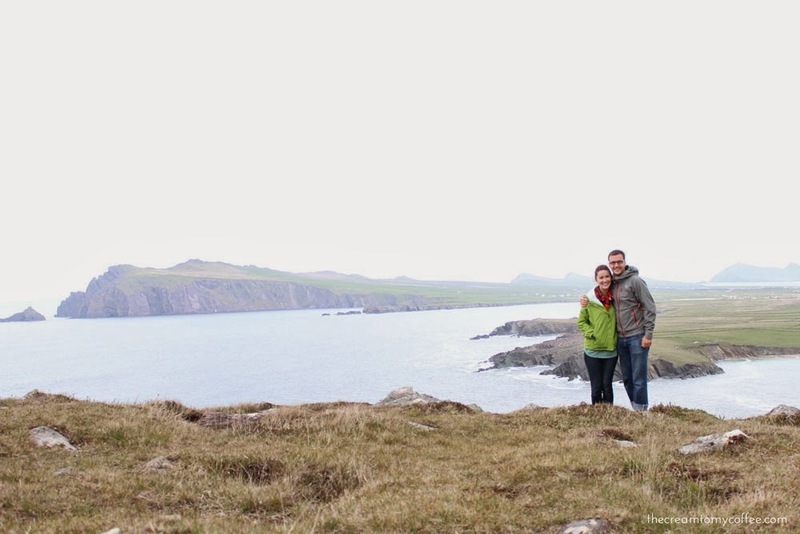 Eric and I both have Irish roots, so we were excited to see the home of our ancestors and you know, the insanely beautiful landscapes. 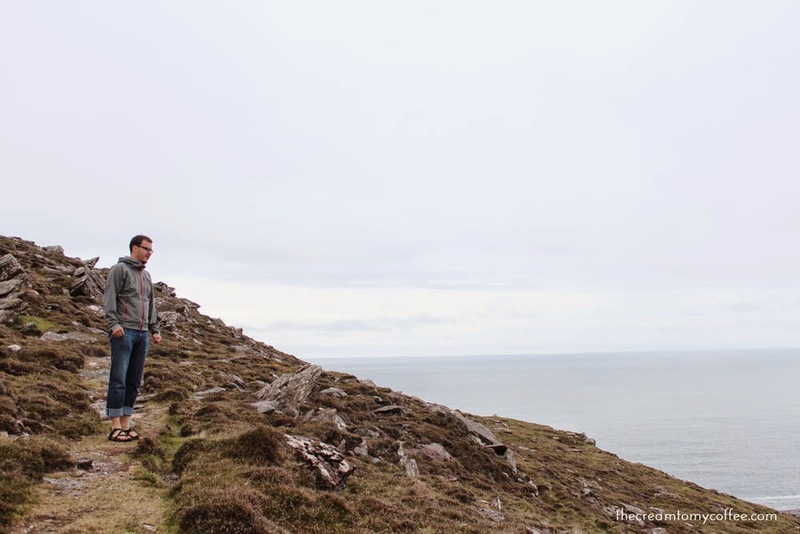 Let's just say Ireland did not disappoint (If you don't like photos of pretty green spaces, avert your eyes. You have been warned). We traveled via British Airways from London to Dublin. We picked up our pre-booked rental car (more on that later) and headed out of Dublin immediately. 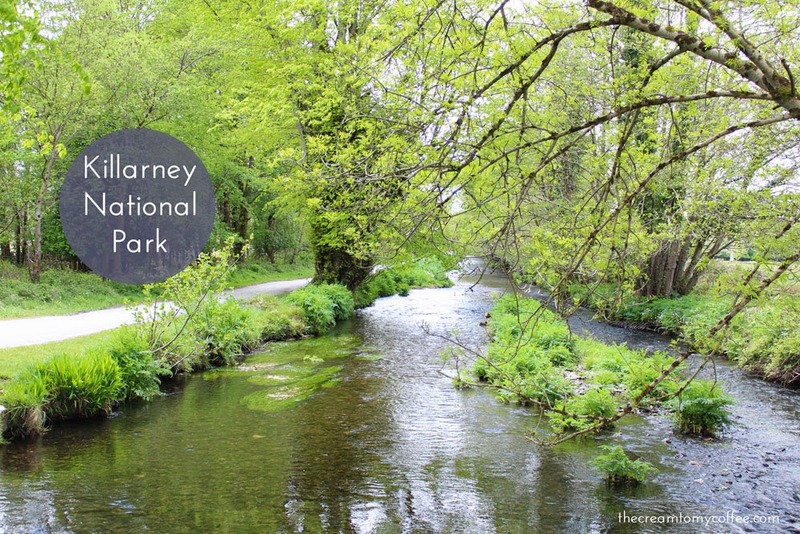 We drove through Cork and went straight to Killarney, where we stayed two nights. 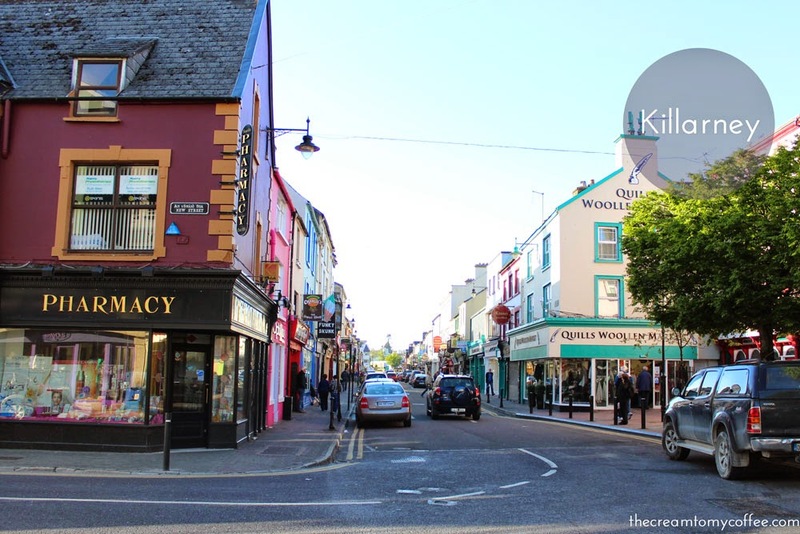 Killarney is a perfect little Irish town with great hotels, great food and great people. There is actually a lot to do there as well. 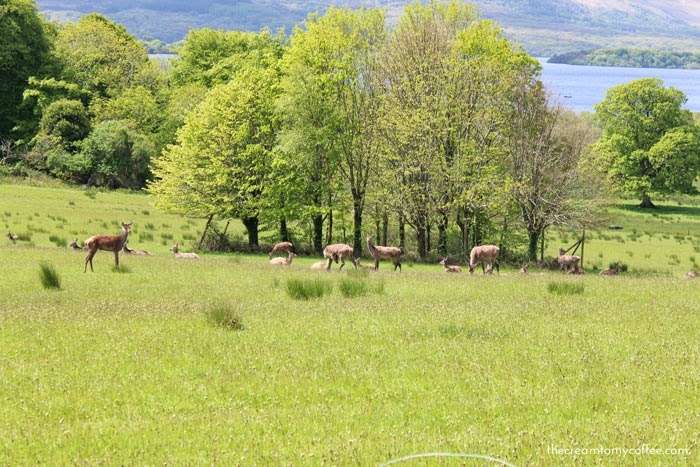 There are a great selection of pubs, the Muckross House and The National Park. 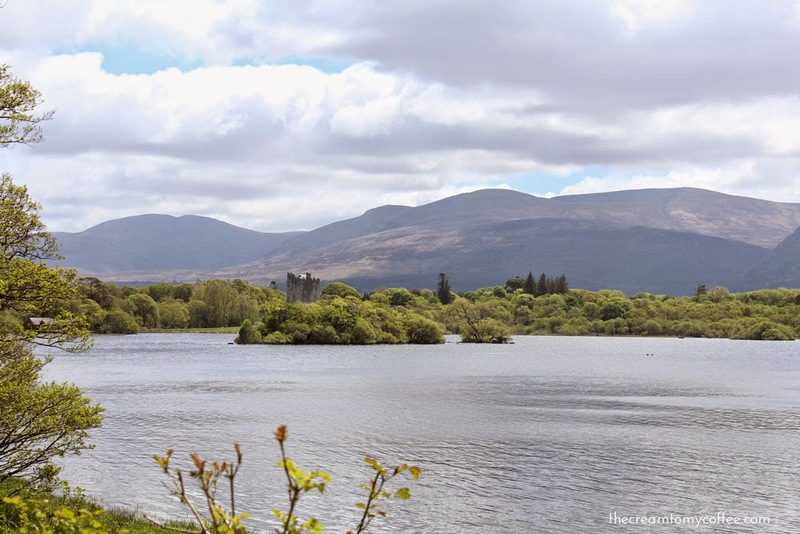 In Killarney we hired a local walking guide (around €20 for 3 hours) who walked around with us, telling us all about Ireland's economy, his family, Irish food and of course, the national park. It was so fun hanging out with a local and hearing about the country from him. 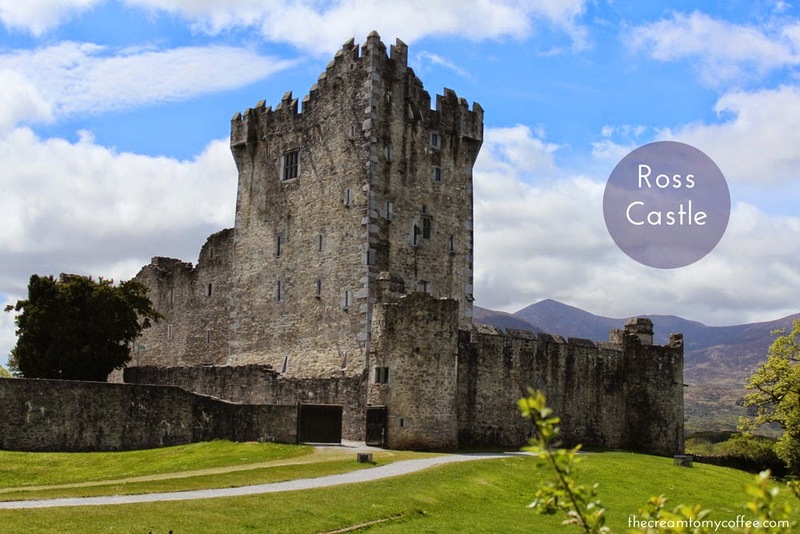 Ross castle is nestled in Killarney National Park and was built in the 15th century. There really are small castles all over the country, but seeing them never gets old. 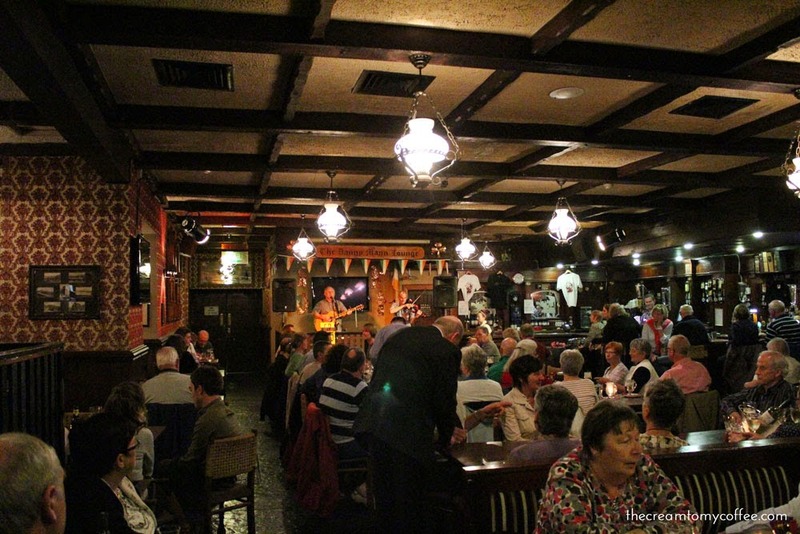 We did some pub hopping in Killarney, which was a blast. Even if you're not into the bar scene (and I am definitely not), pubs in Ireland are a must-do. We went to a local pub and had a hilarious conversation with some tipsy Irish men that ended with a lot of kisses on the cheek. We also went to some fun pubs that had great live music and dancing. 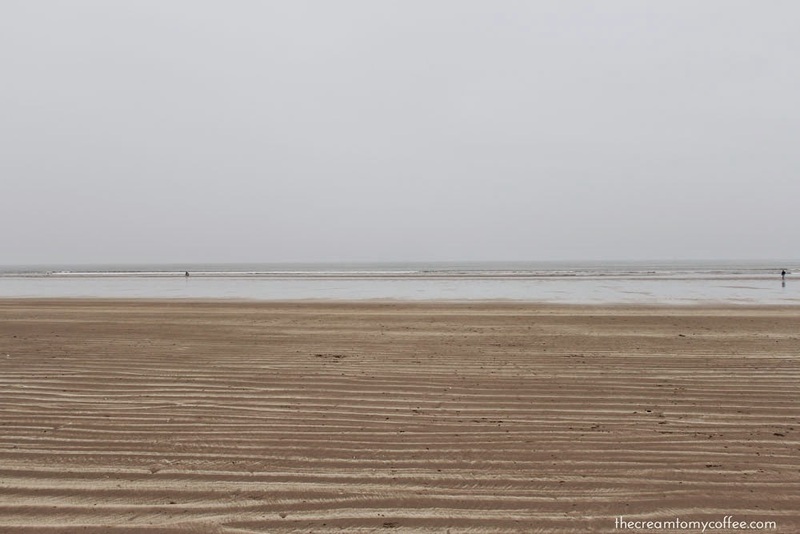 After Killarney, we got back in the car and headed south, stopping at Inch Beach, which is just... beyond. It is surreal. 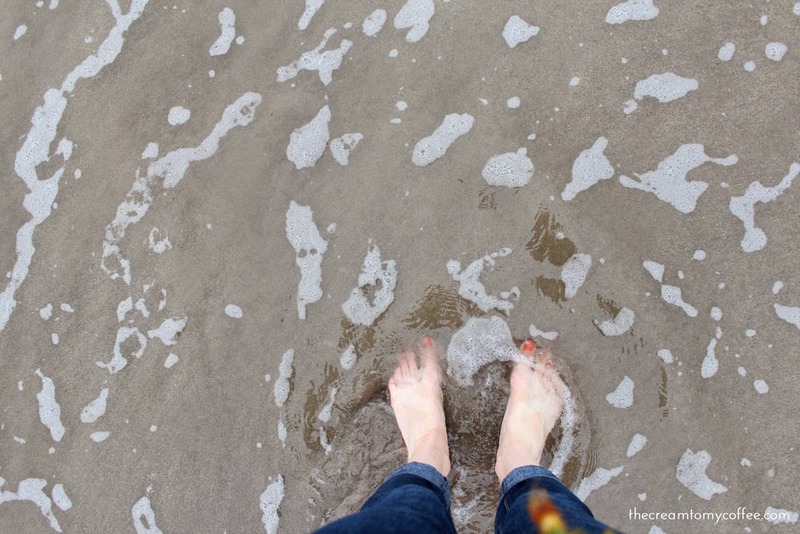 It's definitely not a swimming beach (way to cold), but it is worth a stop. 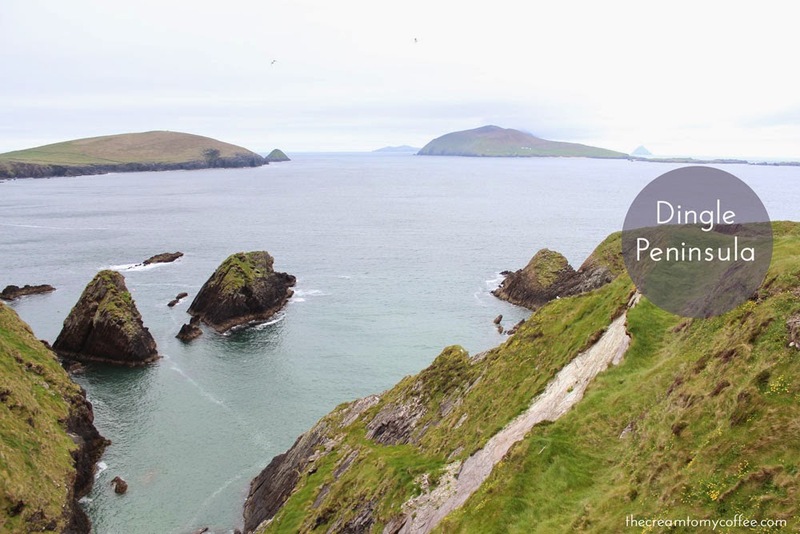 And then it was off to the Dingle Peninsula, which is a dream. Absolutely, positively, a dream. The most beautiful place I've ever seen in my life. 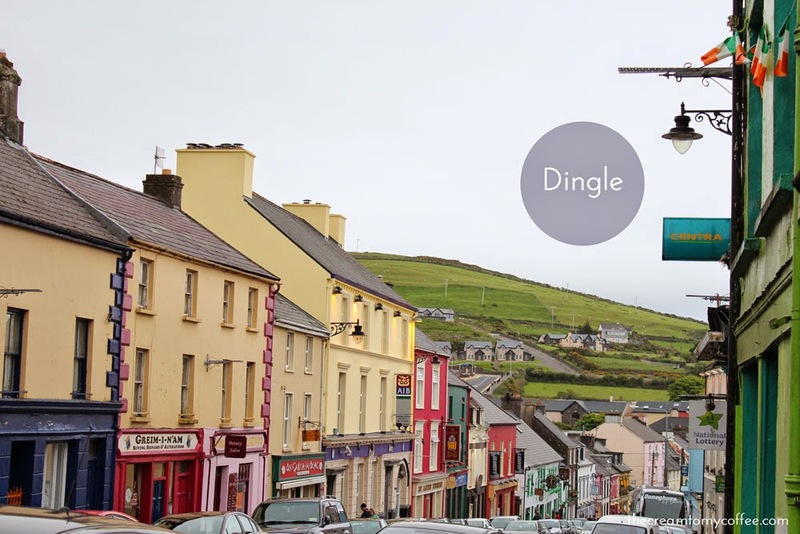 The actual town of Dingle is charming and gorgeous. 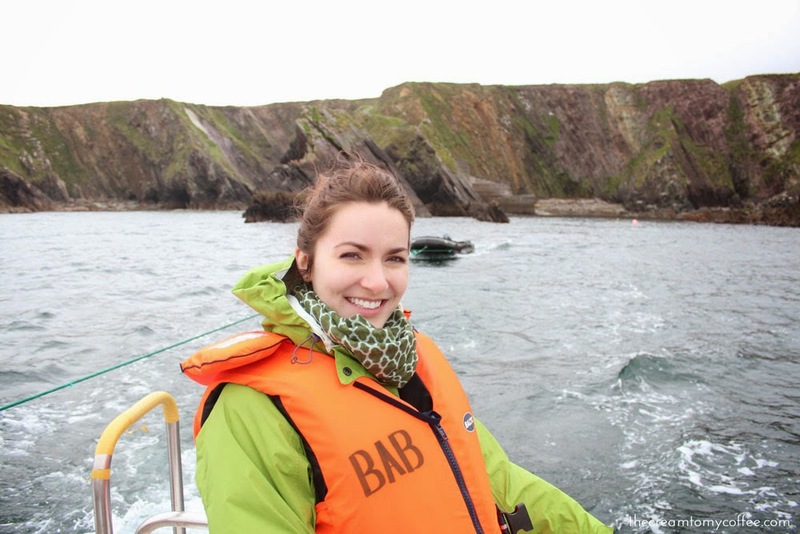 Everyone is friendly and Gaelic is still spoken. 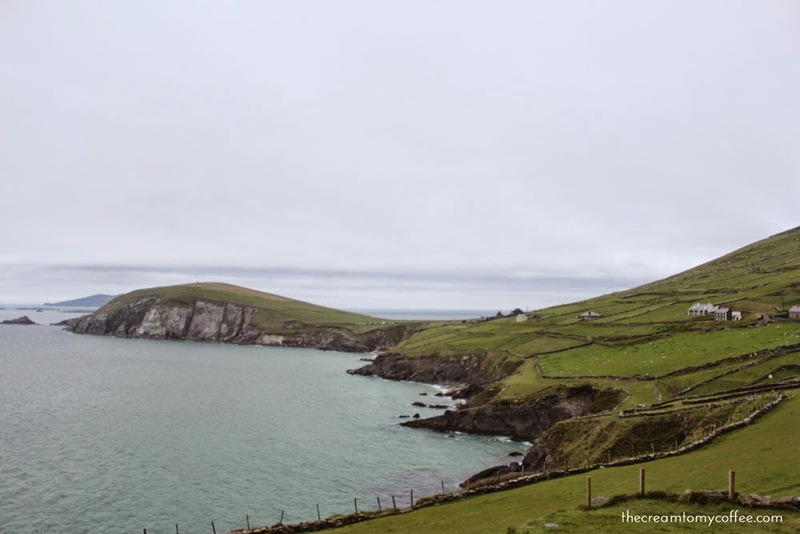 If you are ever in Ireland, do.not.miss.dingle. 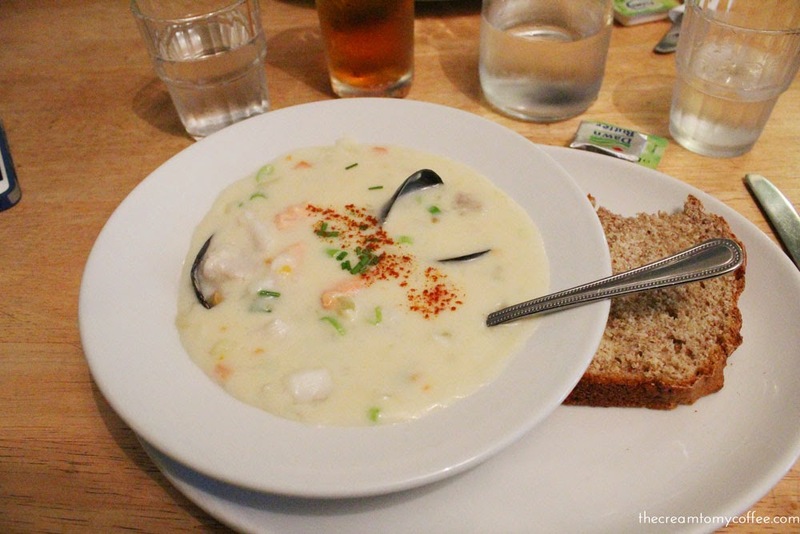 Delicious seafood chowder at The Chowder Cafe. I ate a lot of seafood in Ireland, as you can see. This was my favorite meal, from An Canteen. 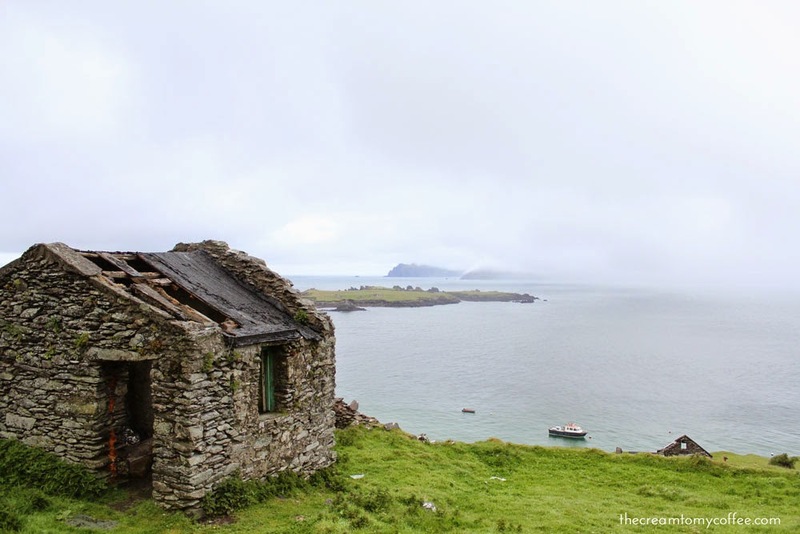 We took a wet boat ride out to the Great Blasket Island which was home to a tiny, self-sustaining community until the 1950s. 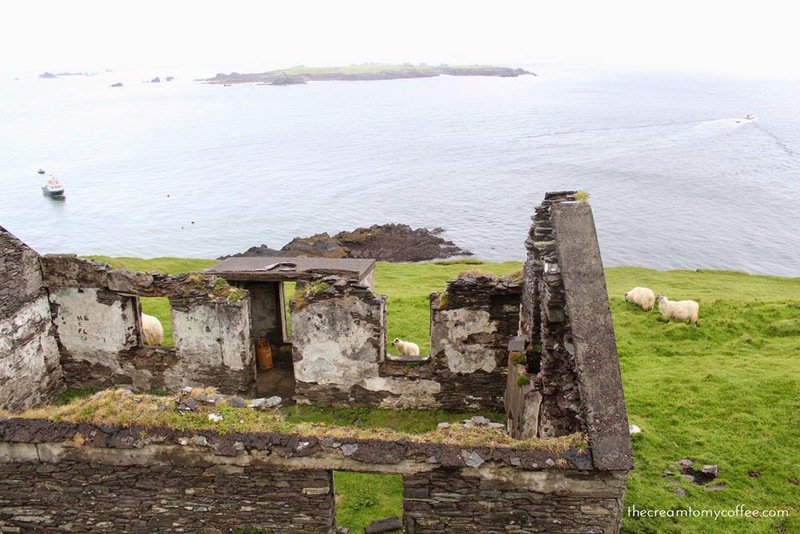 A few famous Irish authors grew up there, which isn't that surprising once you see the place. It is peaceful and beautiful. 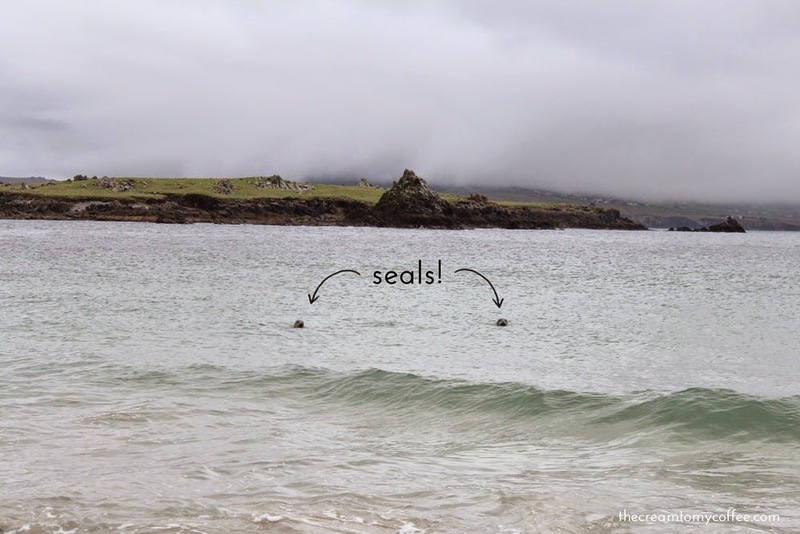 It is full of wild sheep, donkeys and seals. It's difficult to get to (two separate boats and some treacherous steps), but completely worth it. 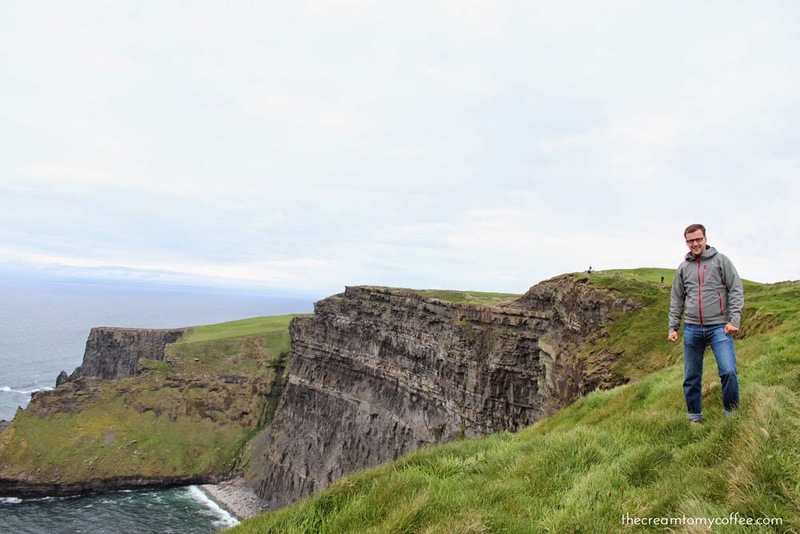 Our last stop in Ireland was at The Cliffs of Moher. There is a whole attraction built around them, but they are really just for lookin' at. And man, are they stunning. You can walk really close to the edge (which I did not like), but my husband is braver than I. If you are driving south out of Dublin, I recommend eating at An Poitin Stil.We randomly stopped there and were so glad we did. Food is served cafeteria-style, but it is quite good. In Killarney we stayed at The Ross Hotel and we really liked it. It is pretty modern (not at all like a cozy B&B) but the breakfast was amazing and the service was wonderful. 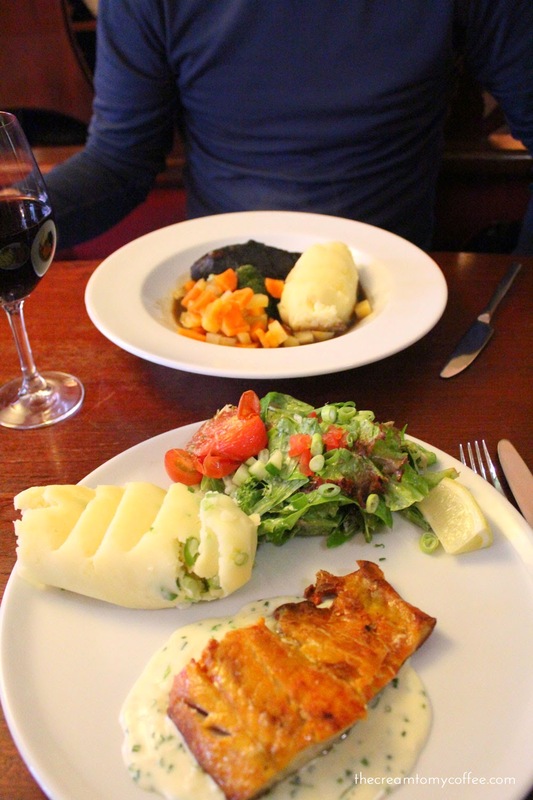 Killarney Food: Our favorite cheap (cheap being a relative word for food in Ireland) restaurant in was Quinlan's - they have great fish & chips.We also loved the ice cream at Murphy's. 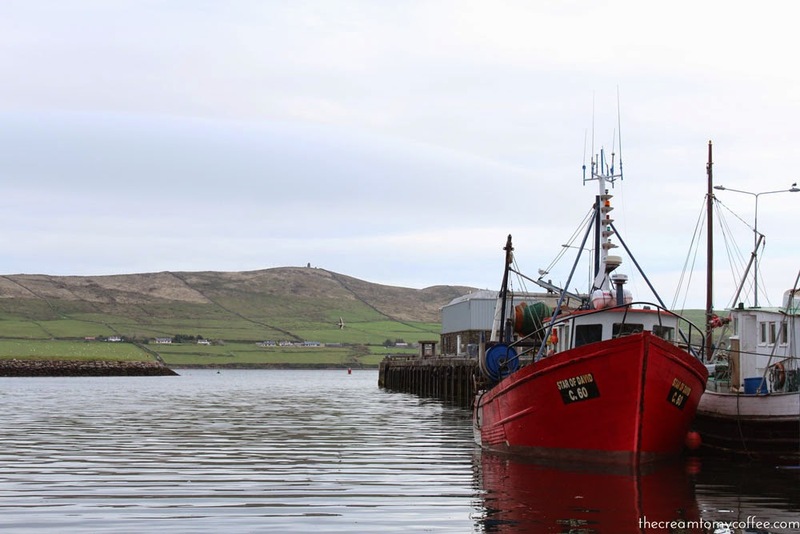 Dingle Food: Our favorite inexpensive places were The Chowder Cafe and An Cupan Te. Our favorite "nice" restaurant was An Canteen. 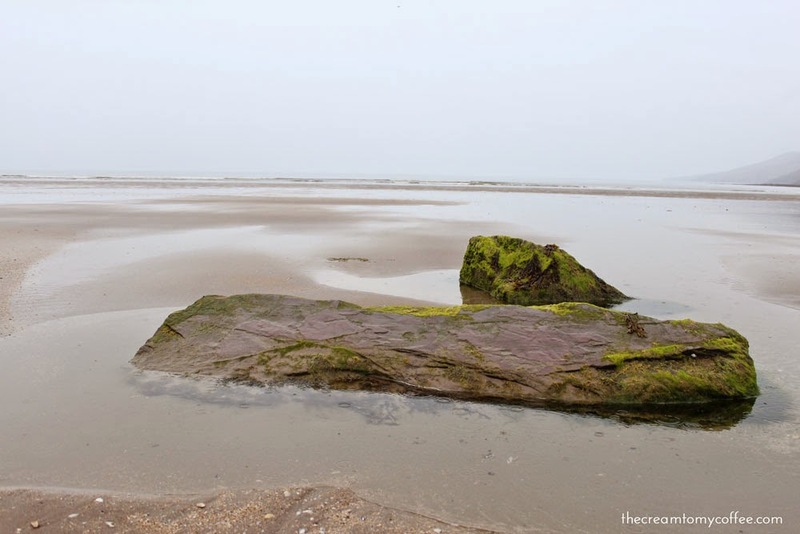 "Seeing Ireland" is really just that - seeing. You don't necessarily have to do anything to have a great experience. 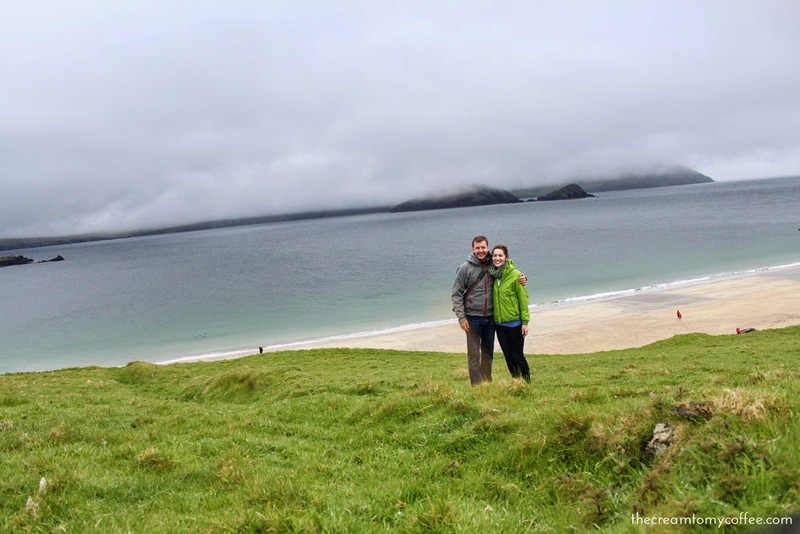 That being said, we loved walking the Killarney National Park (taking a carriage ride is also an option), we loved going to The Great Blasket Island, and Inch Beach was another favorite. Rent a car. There aren't many other options that will get you around Ireland fast (a friend of mine had a van driver in Ireland, but she was traveling with 9 other people). We booked in advance online - make sure you book an automatic. It's more expensive, but when driving on the other side of the road, it's a good idea. And make sure your car is small. There were definitely some moments when we wished our small call was smaller. A lot of roads are one-lane. Book in advance. 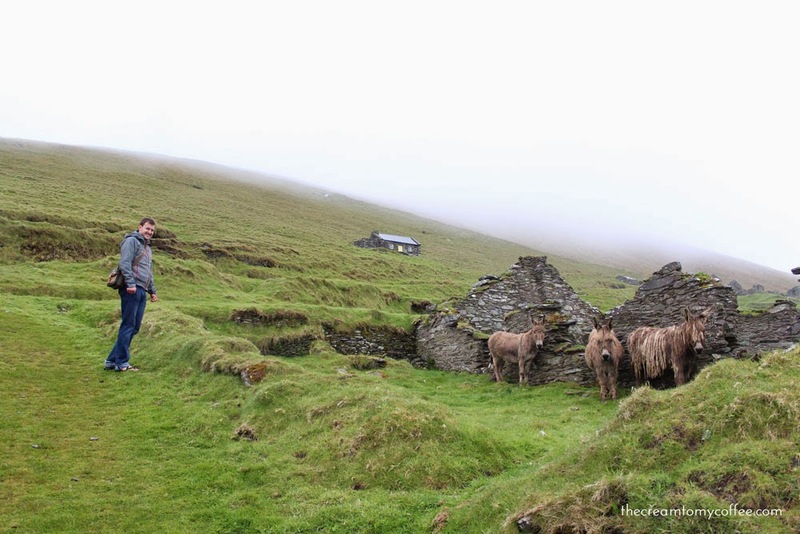 Ireland was the only place we did not book a place to stay in advance, and I wish we had, even though it would have put us on a tighter timetable. 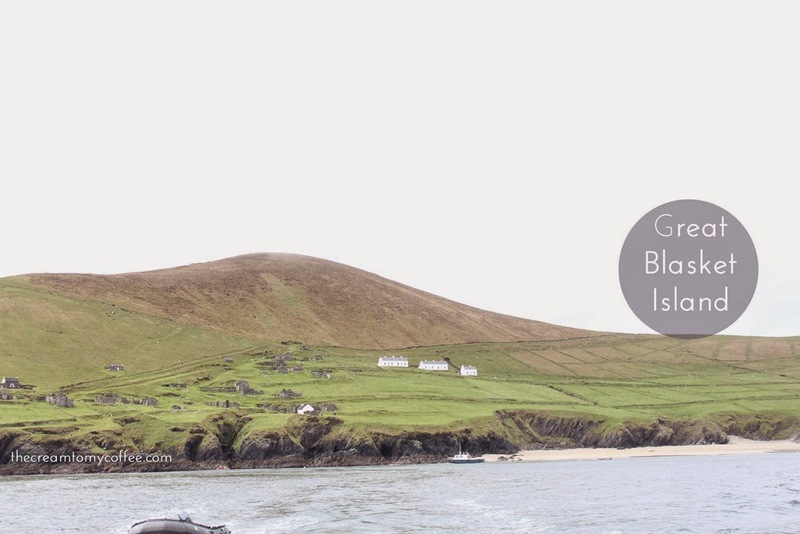 We stayed in Dingle on a Saturday night and there was literally one available room in the entire town (we desperately stopped at B&B after B&B asking for a room) and we were lucky to get it. The food is expensive, even more so than London and Paris. But, a breakfast is provided nearly everywhere you stay, so that helps even out the cost a little bit. The Irish are know for being the friendliest people in the world. So, meet new people! 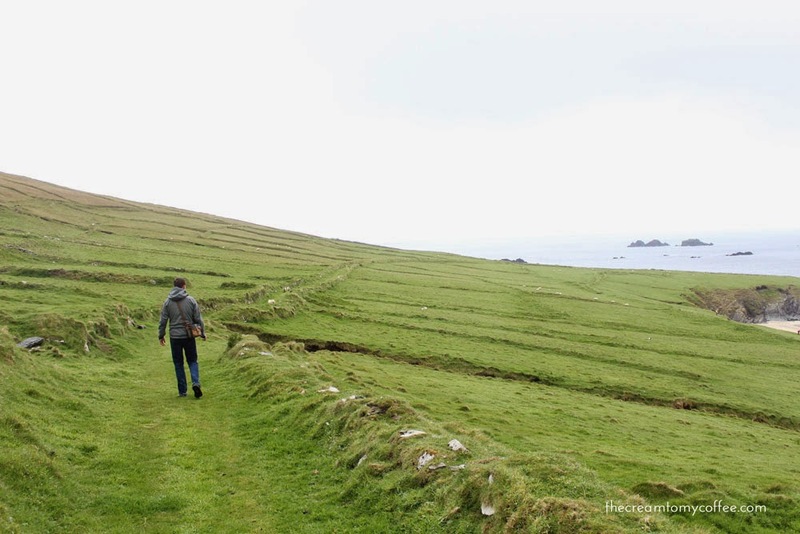 If you don't like to talk to strangers, you probably shouldn't visit Ireland. 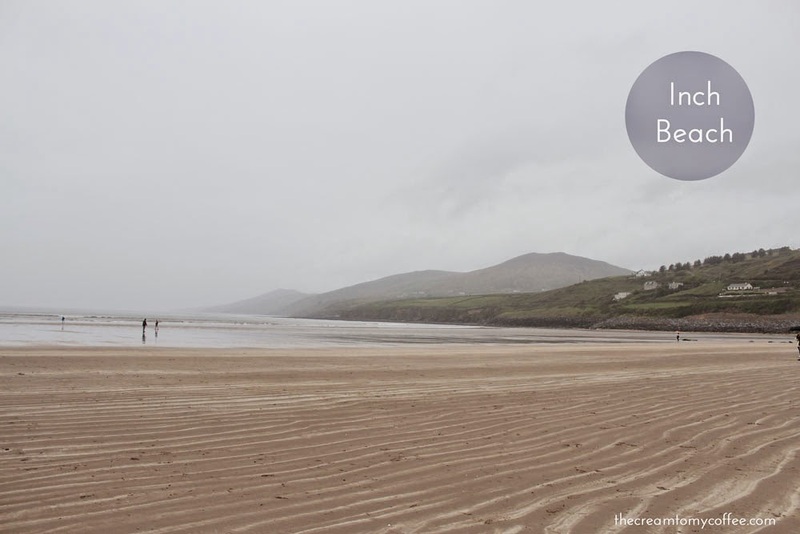 The locals are the best resource for places to eat, see and stay (we would have missed Inch Beach if it hadn't been for a recommendation from a local). 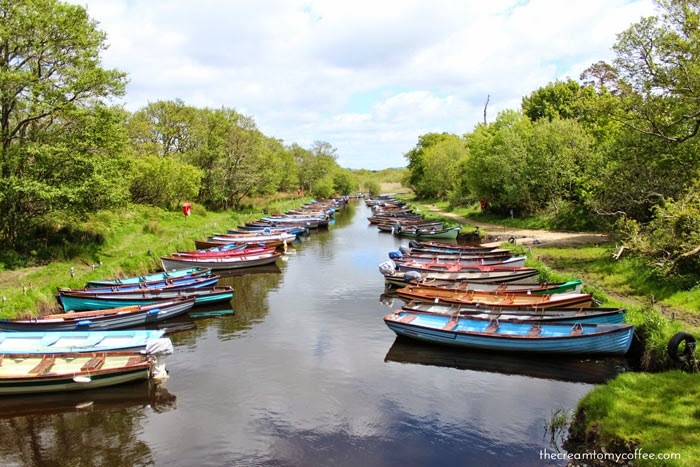 Anyone else have any tips for Ireland travel or must-sees? Oh gosh.. now I want to travel! Your photos are just gorgeous! 1. 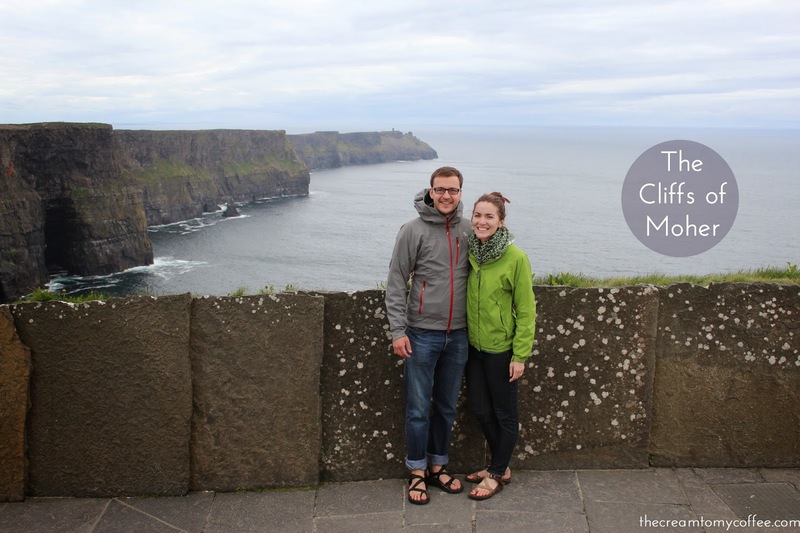 I love that you hired a local guide - what an awesome idea! 2. 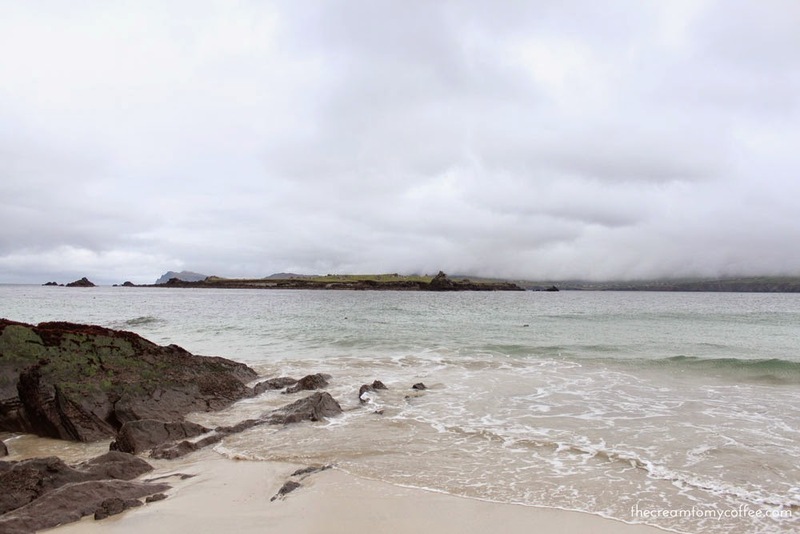 I never get tired of staring at photos of Ireland, they are breathtaking! 3. I'm sure the Grand Canyon pales in comparison to the Cliffs of Moher but the entire time we were at the Grand Canyon Adam kept inching closer and closer to the edge of the canyon. I seriously thought I was either going to have a heart attack from him getting to close or he was going to fall. Luckily neither happened. This is incredible! I've always wanted to go to Ireland...and this just reinforced why! 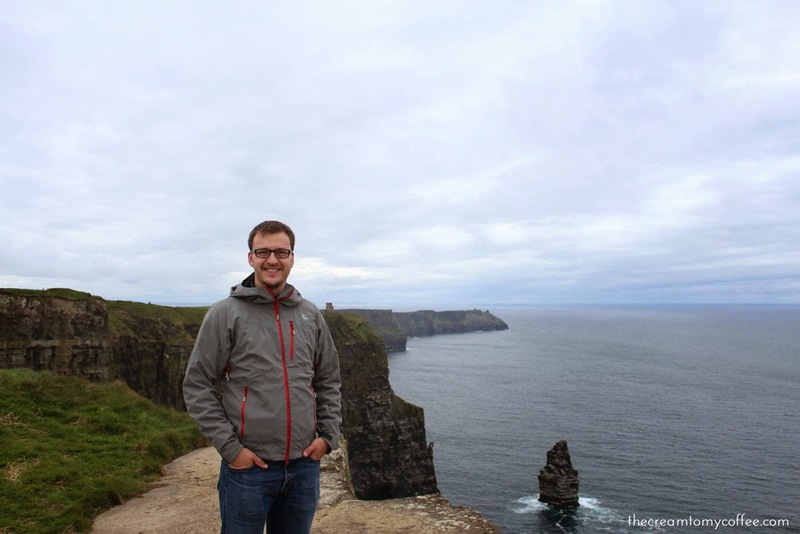 My fiance loves Irish pubs already so it would be the perfect trip between the pubs and the exploring! Gosh! I am amazed! 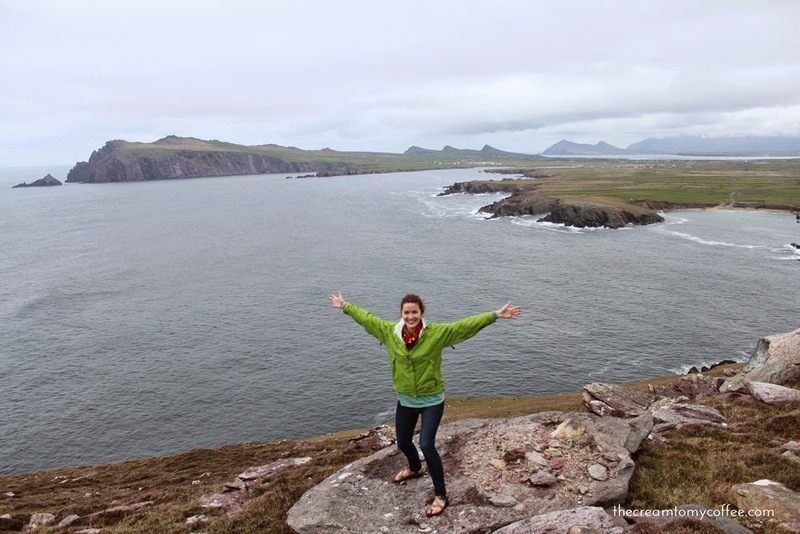 One day I'll get to Ireland (just like London), I can't even imagine just standing there taking it all in (especially right now as a I research/write up a speech for class.. yeah, traveling around Ireland sounds MUCH better!). Seriously loving this so much, Ashley. I've always loved Ireland. These photos are stunning! Beautiful photos - I'm glad you loved it! So jealous!! 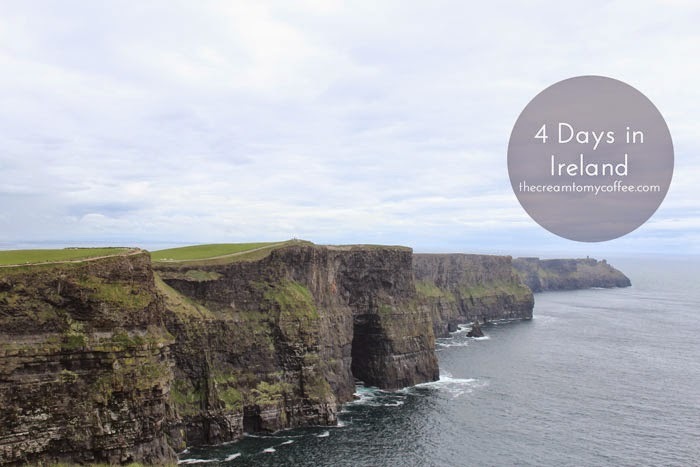 I've been dreaming of Ireland!! Lovely! I wish I'd rented a car but i was nervous driving on my own. Definitely jealous you went to Killarney. Thanks for sharing this with me!